People are always contacting us to recommend places to stay in Cornwall. 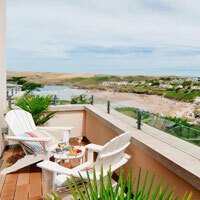 There are so many lovely places to stay in Cornwall, here is just a small selection. Special offer: up to 10% off any week; Please quote 'Cornwall Moth Group' when booking to benefit from this special offer. First dog can come free. See Cutkive Wood website for details. Holidays have long been enjoyed at Cutkive Wood, an environmentally friendly Cornwall County Wildlife Site, many returning year after year to this unique rural location. Nestling in the heart of a peaceful country estate, relaxing on the edge of ancient bluebell woods in a secluded position, you will be able to appreciate the views of the surrounding Cornish countryside. There is an abundance of wildlife, flora and fungi; moths and butterflies, deer, owls, birds of prey. Treat yourself and discover this idyllic setting. You are invited to explore our web-site that will tell you so much more. Perfect Stays Self Catering offer luxury 5 star properties across Cornwall, ranging from cosy cottages and boutique beach houses, to 5 acre estates. Perfect for special occasions, short breaks and weekend getaways, locations include Falmouth, Rock, Polzeath, Mousehole, Padstow and more. Rospannel Farm is about 5 miles from Land's End in Penwith, Cornwall. It is an old fashioned farm, actually more of a nature reserve than a modern farm. 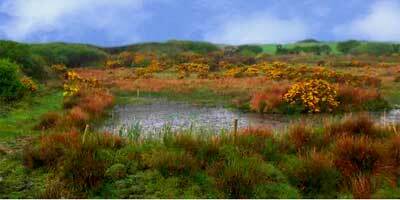 It boasts its own private hide for bird watching which over-looks a half-acre pond. Accommodation consists of a farm cottage that sleeps up to 5, one converted barn that sleeps up to 3, and another which sleeps up to 8, and a beautiful farmhouse which offers B&B. The property is owned by Cornwall Moth Group member Bernard Hocking. The Beach House Company offer a collection of luxury, hand-picked holiday homes that are located on or near a beach within Cornwall and Devon. All our guests receive our complimentary concierge service which helps enable them to get the very best of the local area, the house and their stay.